Flexia offers you a very flexible header that you can customize like anything. You can control Topbar, Header Widgets, Navbar, Menu etc. from here. Go to Customize > Header to see all the options. 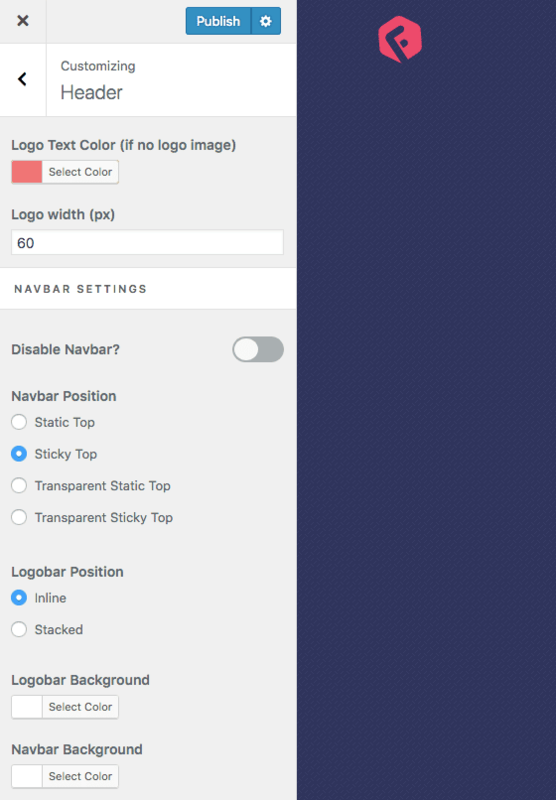 You can set logo text color, logo width, Navbar position, Logobar position etc. from Navbar Settings. 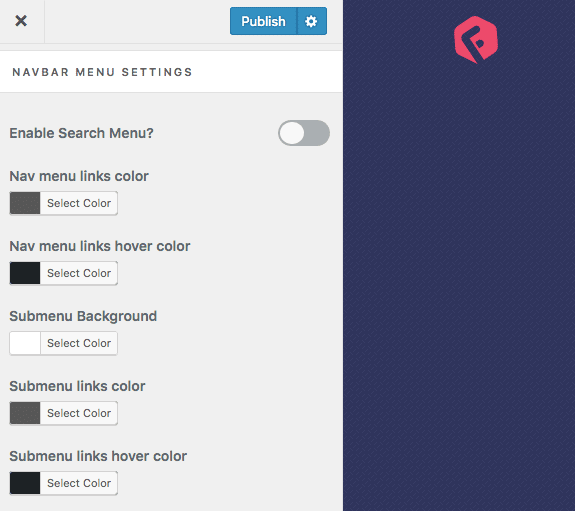 You can control the color of your menu items and enable “Search Menu” and “WooCommerce Cart” menu. Screenshot might be different than your screen as we are adding more features. 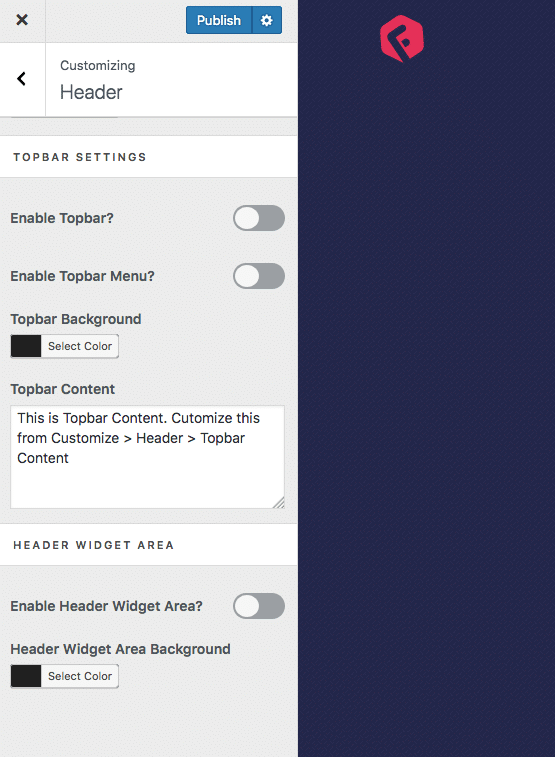 You can enable an additional Topbar for your site to show certain information. It’s helpful if you want to show a temporary notice or promotional offers, no need for an extra plugin for that. You can also enable Topbar Menu that supports dropdown and which is responsive for mobile. You can also set social icons as menu item to link to your social profiles. There is also a “Header Widget” area. If you enable this, you will see a dropdown option on top right corner of your site. Dropdown will show the widgets that you can set from Appearance > Widgets > Header Widgets.